Enjoy stitching Anne Fisher's beautifully painted Y pattern eyeglass case. Don't need an eyeglass case but love this canvas? Turn it into a makeup bag or small zip bag. This item is the front of the case. If you want to stitch multiple sides for your clutch we're happy to order it for you. Don't see the color you want? Just ask! Monogram added at no charge. 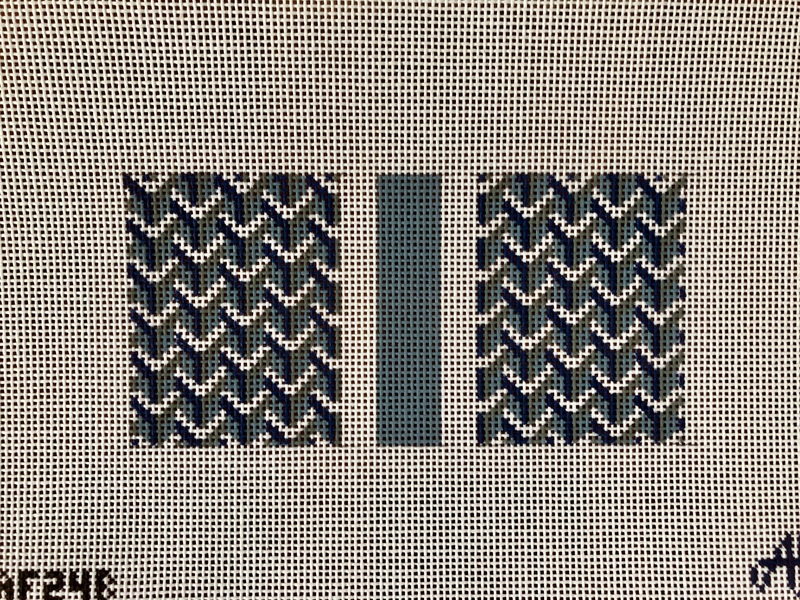 Measures 6.25" wide by 3" long on 14 mesh.